I'm not one for writing reviews but just had to for this hair dryer. Could it really be any different than a drugstore dryer? Does the ping pong ball really go higher? YES and YES! My curly hair was dried in half the time. The frizzies were tamed and my hair was shinier. I purchsed this as a One Day special but at full price, it's well worth it. 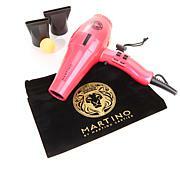 This dryer is a bit heavier than the cheaper drugstore line but a strong motor adds weight. You won't be disappointed. Love my new dryer! It does dry faster and leaves hair smooth and shiny. Many times I have to follow up with a straight iron but not anymore! 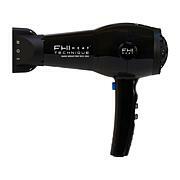 This performs as a Professional Blow Dryer...Which it is intended to be. Gets my long, thick hair dried quickly. I give it a Definite Thumbs Up Love It! Thanks Martino!!! 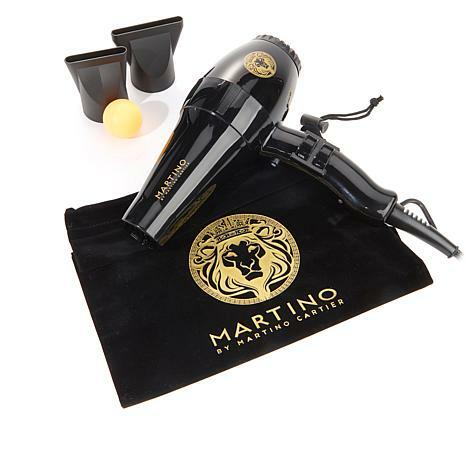 I just love this powerful hairdryer..dries hair so quick.bought myself one and one for my daughter...just love it...Martino never stop making your wonderful products.. 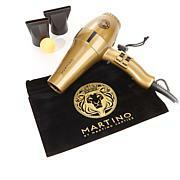 I decided to buy this hair dryer One because I love Martino and trust him. Two because of the price ( I got the one day only price)!. I did the test with my 1875W dryer vs. this dryer and it was amazing! Yes Martino includes the ping-pong ball. lol It is now a cat toy. lol And yes it is orange! It blows harder even on low than my previous blow dryer on high. I noticed it wasn't as hot but I am assuming that is a good thing. My hair turned out just as good if not better. And yes it is heavy.